Looking for a new job opportunity? Trying to position yourself for a new position within your existing organization? Our expanded Marketing Your Career program help professionals and business people more effectively market the ultimate product offering – themselves. You don’t have to be a marketing professional to benefit from these programs. 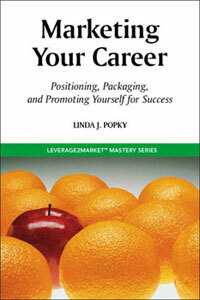 Whether you’re a seasoned manager, an experienced professional, or new to the business world, the straightforward Marketing Your Career approach is sure to help you take your career to the next level. 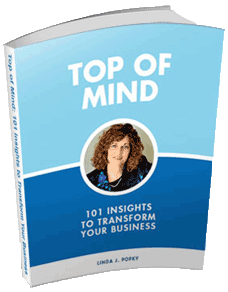 Written by award-winning consultant Linda J. Popky, president of Leverage2Market Associates, our new workbook is the companion to our handbook of the same name, published in 2008. 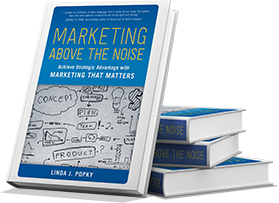 The workbook provides a series of simple, straight-forward and fun exercises to help professionals identify their key differentiators and produce the type of effective marketing campaign required to succeed in this tough economic environment. For those who would prefer a more structured, guided option to creating a personal marketing action plan, we now offer a half-day seminar and full-day Marketing Your Career workshop. Our one-on-one coaching and mentoring services are customizable to meet individual needs and may include personal branding, review of resumes and cover letters, and development of effective marketing online and offline strategies for securing new positions or obtaining promotions within existing organizations. Participants can choose single session or extended support options. Includes small group and individual exercises, as well as development of personal marketing plan.